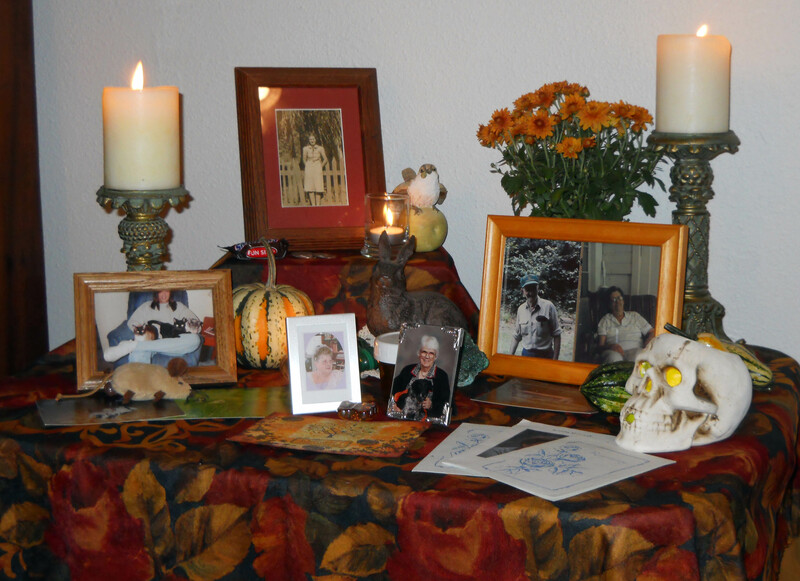 I love your altar–everything has a deep meaning for you…and it’s beautiful. Samhain blessings! Thanks again, witchwillow! Such altars can be bittersweet, can bring healing too. I actually hope to explore that topic later. Blessings to you!